This is the base class for all the ofxOpenCV image types: ofxCvShortImage, ofxCvColorImage, ofxCvFloatImage, ofxCvGrayscaleImage. It's made to provide interoperability between the core OF imaging types, ofImage and ofTexture, and OpenCv. Allocates the image with the w, h passed in. This must be done before the pixels of the image are created. Blurs the using Gaussian blurring. Gaussian blurring is typically to reduce image noise and reduce detail. Returns the number of non-zero pixels in an image. Draw the image at the ofPoint passed in. Draw the image into the ofRectangle passed in. Draw the image at the x,y. Draw the image at the x,y with the w,h. Draw the outline of an ofxCvblob into the ofxCvImage. Draw just the Region of Interest of the image at the x,y. Draw just the Region of Interest of the image into the x,y with the w,h passed in. Marks the image as changed so that the ofTexture can be updated, if the image contains one. Returns a raw pointer to the OpenCV IplImage. Returns a raw pointer to the pixel data within the image. Returns the region of interest in an ofxCvImage. Returns a raw pointer to the pixel data within the Region of Interest in the ofxCvImage. Flip the pixel values of the image. Copy the image data of an ofxCvColorImage into the ofxCvImage instance. Copy the image data ofxCvFloatImage into the ofxCvImage instance. Copy a ofxCvGrayscaleImage into the current ofxCvImage. Copy the image data of a ofxCvShortImage into the ofxCvImage instance. This uses a generic geometrical transformation to remap one image to another. This is particularly useful when doing camera calibration. Removes the region of interest from an ofxCvImage. Rotates the image. This is different than the OpenGL rotate as it actually sets the pixel data, rather than just the posotion of the drawing. Scales the image to the scaleX, scaleY passed in. This is different than the OpenGL rotate as it actually sets the pixel data, rather than just the posotion of the drawing. Set all the pixels in the image to the float value passed in. This is useful for blanking or filling an image quickly. the values are 1.0 to 255.0. Set the anchor point of the image, i.e. the center point for rotations, at the percentage positions passed in. Set the anchor point of the image, i.e. 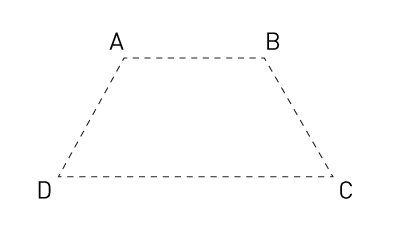 the center point for rotations, at the x,y passed in. Set all the pixels in a ofxCvImage from an ofPixels reference. Set all the pixels in a ofxCvImage from a pointer to an array of unsigned char values, using the w and h parameters to determine the dimensions of the image. Sets the region of interest on the image. Region of Interest is a rectangular area in an image, to segment object for further processing. Once the ROI is defined, OpenCV functions will operate on the ROI, reducing the number of pixels that the operation will examine. Sets whether the image is using a texture or not. If the image is not using a texture then calls to getTextureReference() will return null and the image cannot be drawn. This is handy if you know that you won't be displaying the image to the screen. Transforms the image with the angle, scaling, and transformation passed in. This is different than the OpenGL rotate as it actually sets the pixel data, rather than just the posotion of the drawing. Moves the image by the x,y amount passed in. This is different than the OpenGL rotate as it actually sets the pixel data, rather than just the posotion of the drawing. The function cvUnDistortOnce corrects camera lens distortion for the image. It requires that you have an estimate of the camera distortion from a call to cvCalibrateCamera() or other calibration method. Updates the texture of the ofxCvImage if it contains one. This is handy after you've changed the image pixel data and want it to be uploaded to the texture on the graphics card.